A breakthrough in U.S.-Cuba relations may be in the offing. 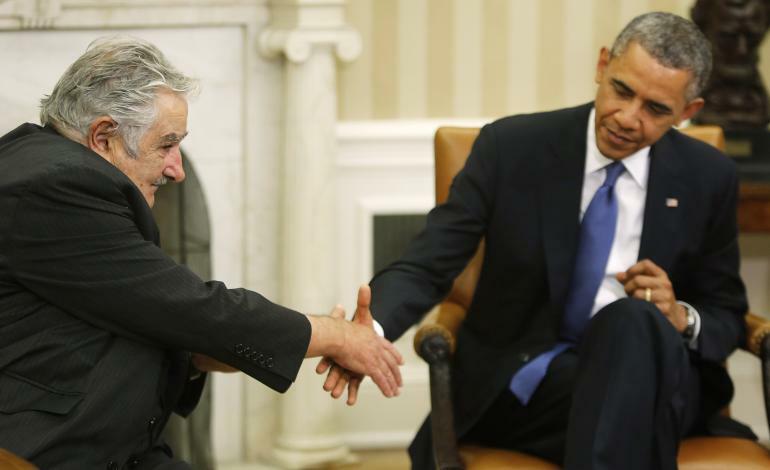 On June 14, Uruguayan President Jose Mujica delivered a letter from U.S. President Barack Obama to Cuban President Raul Castro, according to Uruguayan media June 20, containing an offer to begin talks on a variety of issues, most prominently Washington’s longstanding economic embargo. According to Uruguayan media, Obama had asked Mujica to help him improve relations with the island nation when Mujica was in Washington in mid-May. If the report is true, the transaction could be the first step toward reconciliation. Cuba certainly has its reasons for entertaining such an offer. The country’s main benefactor, Venezuela, may no longer be in a position to support the Cuban economy. 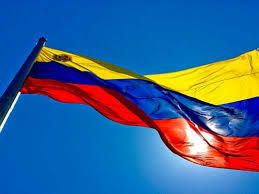 In fact, Venezuela is in the throes of a protracted economic crisis, which is owed partly to declining oil production. Since Cuba depends heavily on Venezuelan oil exports, it may soon have to look elsewhere for its energy needs. Castro was supposedly interested in Obama’s offer, provided that it did not necessarily impose conditions on Cuba, but given the situation in Venezuela, Castro would demand that the embargo be lifted in any negotiations. Normalized ties would also benefit the United States, which is concerned with Russia’s attempts to improve relations with Latin America. Though the Cold War is over, Washington still does not want any country, let alone Russia, to establish too strong a presence in a country as geographically close as Cuba. That Havana is so close to Caracas may also help the United States make some political overtures to the government of Venezuelan President Nicolas Maduro, though Venezuela’s future stability and willingness to engage the United States largely depends on Maduro’s political support and the country’s economic conditions. However, Cuba’s influence in the Venezuelan military and intelligence organizations could facilitate future communication between Washington and Caracas. In any case, an agreement would have to be agreed upon by both sides — no small feat, given the decades of animosity between the two. In the United States, improved public opinion toward ending the embargo would help future negotiations, but opposition lawmakers could impede the government’s efforts. For its part, Cuba has been liberalizing its economy slowly for nearly four years, and the concerns some Cuban leaders have over opening up an erstwhile closed country could delay the pace of any talks. When asked how many Cubans are working in Venezuela, minister of foreign affairs Elías Jaua cites the 25,000 medical aid workers in the programme launched by the late president Hugo Chávez, adding “about 1,000 sports trainers and 600 farming technicians”. The opposition claims the number is higher, particularly as there are Cuban advisers in all the ministries and state-owned companies. At the end of February the student leader Gaby Arellano tried to present a petition to the Cuban ambassador in Caracas. “We will not allow Cubans to interfere in our affairs any longer,” she said. “We don’t want them to go on controlling the media, directing military operations or indoctrinating our children.” Teodoro Petkoff, a leftwing opposition figure, is not convinced Havana exerts that much influence. “Such claims play down the responsibility of the Chavistas for what’s going on,” he says. Defence specialist Rocío San Miguel believes Cuba really does influence policymakers in Venezuela. She recalls the way Chávez’s illness was managed, his hospitalisation in Havana clothed in secrecy, and the transfer of power to Nicolás Maduro (pictured), who was educated in Cuba. “Cuban officers attend strategic planning meetings for the armed forces,” she says, basing her claim on insider sources. “It’s not a myth, it’s the reality,” says General Raúl Baduel, minister of defence under Chávez and now in custody at the Ramo Verde military prison. The Cubans have modernised the intelligence services, both the Sebin (Bolivarian National Intelligence Service) that reports directly to the president, and military intelligence. They also set up a special unit to protect the head of state. Furthermore Cubans have computerised Venezuela’s public records, giving them control over the issue of identity papers and voter registration. They have representatives in the ports and airports, as well as supervising foreign nationals. They took part in purchases of military equipment and work on the Maracaibo airbase. “All Cuban ‘internationalists’ have had military training and must, if required, fulfil combat duties,” San Miguel asserts. “Cubans form an information network which keeps Havana up-to-date on shifts in public opinion,” says political observer Carlos Romero. (BBC) A former chief of Venezuela’s intelligence service, Eliecer Otaiza, was killed last Saturday, officials have revealed. Maj Otaiza, a friend and ally of the late president Hugo Chavez, was shot dead outside the capital, Caracas. 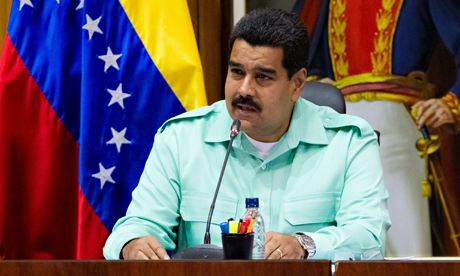 President Nicolas Maduro said police would investigate the “suspicious” circumstances of his death. Maj Otaiza was elected in December as local councillor for the governing PSUV party for the Libertadores area. Police said the motive for his killing was not yet clear. The body was discovered on Saturday on the outskirts of the capital with four bullet wounds, said Interior Minister Miguel Rodriguez Torres. The minister added that the major was found without any documents which is why it took police until Monday to identify the body, which had been taken to a local morgue. He said the subsequent discovery of Maj Otaiza’s stolen and bullet-riddled car led them to suspect the body was that of the councillor. Maj Otaiza had last been seen leaving a friend’s house on Friday night. He was a close friend of the late Venezuelan leader, Hugo Chavez, and backed his 1992 abortive coup aimed at deposing the then-President Carlos Andres Perez. He was shot four times on 27 November 1992 during an attempt to storm the Miraflores presidential palace, but survived. Mr Chavez dedicated a chapter in one of his autobiographical books to the major and his role in what the former president called his “Bolivarian Revolution”. He said Maj Otaiza, then a lieutenant, tried to spring him from a prison in Yare, where Mr Chavez had been sent after the coup attempt. “He came into the prison masquerading as a woman, and he looked really ugly, by the way,” Mr Chavez wrote. Mr Chavez recalled how he sent the lieutenant away “to work on the outside for the revolution”. 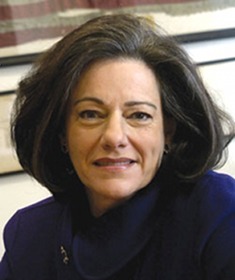 Maj Otaiza later formed part of Mr Chavez’s personal guard and was named director of the national intelligence service in the early years of Mr Chavez’s presidency. Venezuela has one of the highest murder rates in the region and few homicides are ever solved. Anger about the lack of security and high crime rates, as well as frustration with Venezuela’s poor economic situation have led to mass protests against the government over the past months. (The Economist) Less than three months into his presidency, Nicols Maduro is struggling to fend off challenges to his authority from radicals, soldiers and Cuban spies. The rebellion of the Venezuelan youth, demanding the end of Nicolás Maduro’s presidency, has brought into the forefront the nature of a regime that can be defined as a highly corrupt narco-terrorist state supported by Cuban military forces and Colombian drug cartels. Venezuela, a country of 29 million people, is blessed with a good climate, rich land, the largest oil reserve in the world and access to major industrial markets. It has every expectation of prospering and becoming a modern, wealthy state. Yet the ruling oligarchy, led by the late-Hugo Chávez and now Nicolás Maduro, understood their revolutionary goal as a right to pillage the national wealth, turning the country into a decrepit caricature of Cuba’s Marxist failure and a secure route for Colombia’s narco-guerrilla to smuggle cocaine to the international markets. First and foremost, the Maduro government hold to power depends to a large extent on Cuba’s special forces of the Ministry of the Interior (MININT) estimated at over 7,000. This is not counting medical and other support personnel (over 30,000) deployed throughout Venezuela. In addition, Cubans helped train several thousand trusted Chavistas. Called collectivos, these motorcycle gangs can be seen in the videos and pictures helping the National Guard repress peaceful protests and shooting unarmed students (presently, more than 25 students have been murdered and over 300 hundred wounded). “Comandante Histórico” Ramiro Valdés was trained by the efficient and brutal East-German intelligence agency (STASI). Valdes was the first chief of Cuba’s repressive intelligence force (G-2). He is now Vice President of the Council of State and member of Cuba’s Communist Party Politburo. 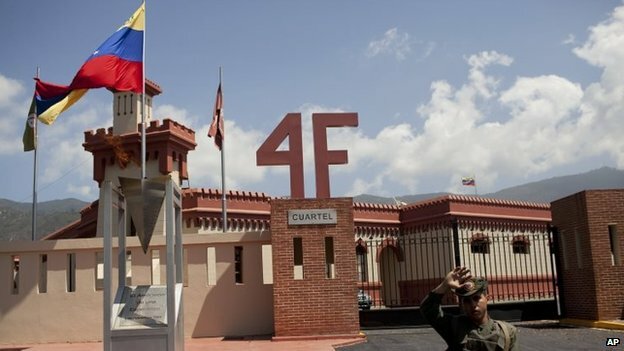 Valdes has remained in Venezuela for extended periods analyzing intelligence information on Venezuelan military, active and potential opposition officers and retaliatory tactics to be enforced. Ramón Andollo is a highly trusted link between Colombia’s narco-guerilla FARC and Venezuela’s Armed Forces officers. For over 15 years, General Andollo has been the principal liaison between the Colombian and Venezuelan drug cartels. He has spent extended periods of time in Venezuela. It is reported by MININT defectors that General Andollo has met with Colombian guerrilla leaders in safe areas controlled by the Venezuelan Cartel de los Soles. Second in Command of Cuba’s Ministry of Interior (MININT), General Fernández Gondin and his staff officers are in overall command of MININT’s Special Forces (over 7,000) deployed in Venezuela.